● Four strong claws for grabbing. ● Claw design opens up to 17mm. * magnetic equipped for locating on iron items. * 4 flexible claw for grabbing. ● 15,000 MCD LED light facility. ● Total length : 670mm. 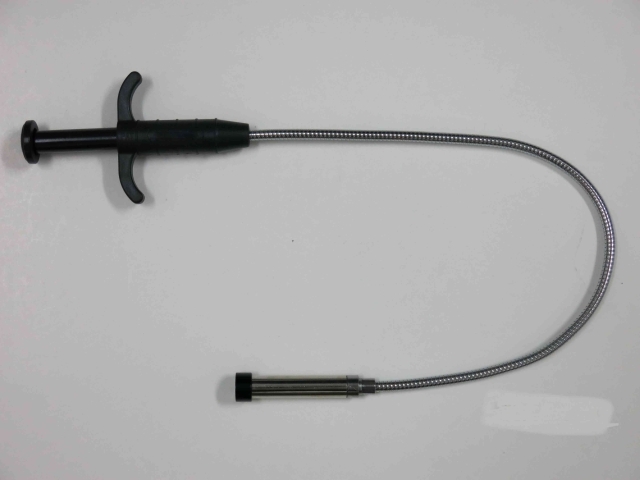 ● Magnet lift : 3.3 lb (1.5kg). ● Pkg wt. : 5.5 lb (2.5kg).